You’ve probably never stopped to think about it, but your toilet is one of the most frequently used plumbing fixtures in your entire home. The way toilets work is relatively simple, and most of the time, they do their job without any problems. Once in a while, though, trouble does arise. Toilet problems are often messy and can be downright disgusting, so it’s important to call in a professional at the first sign of trouble. 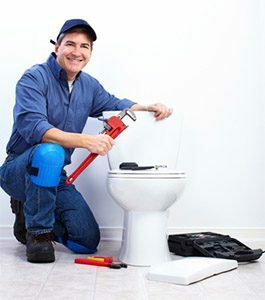 At GT Campbell, we offer professional toilet repair in Brighton, NY. Whether you have a toilet that won’t stop running, a stubborn clog, or a commode that is overflowing all over your bathroom, we are equipped to handle any type of problem. When these problems are not addressed right away, they can develop into more serious issues. Leaks can result in significant water damage, and clogs can get work overtime – eventually resulting in disgusting overflows. When you need professional toilet repair in Brighton, NY, depend on the expert plumbers right here at GT Campbell. They have everything they need to solve toilet problems of all scopes and sizes, and you can always rely on them to get the job done right without breaking the bank. Don’t try to deal with toilet troubles on your own. For toilet repair in Brighton and the surrounding communities, contact the professionals at GT Campbell today.